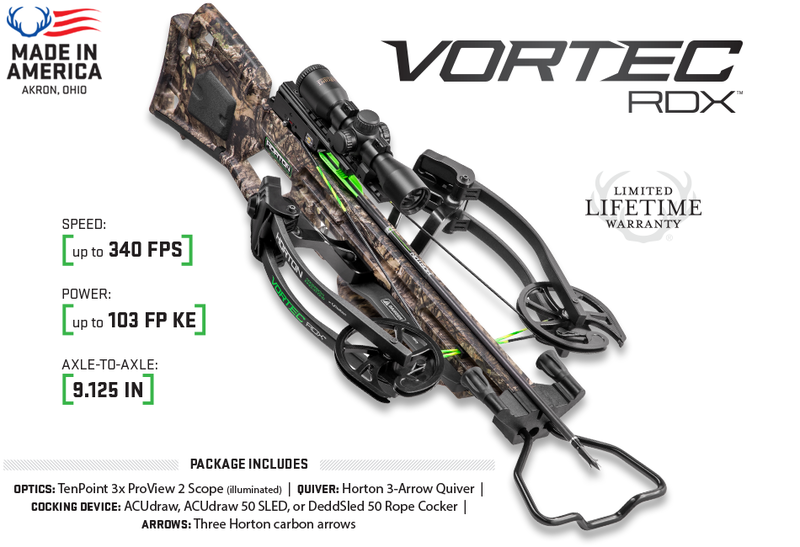 TenPoint`s Vortec RDX is an innovative Horton crossbow! With bloodlines rooted in the elite quality, durability, and performance TenPoint owners have come to expect, Horton crossbows feature precision-engineered reverse-draw technology designed for superior balance and efficiency to seize your season -defining moment. Incredibly compact. Perfectly Balanced, Deadly Accurate. 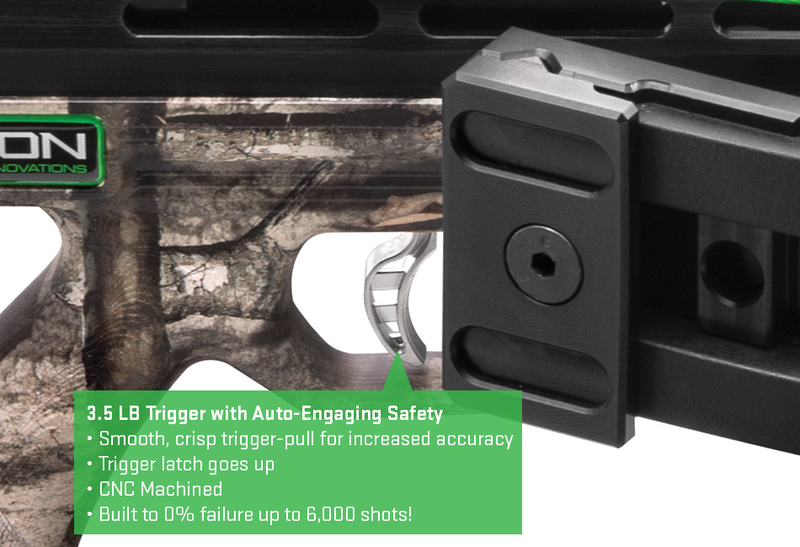 Stunningly compact and perfectly balanced, the NEW Vortec RDX is tuned to achieve an ideal ratio of power, handling, and accuracy in an economically-priced, hunter-friendly package. Available in Mossy Oak Country.